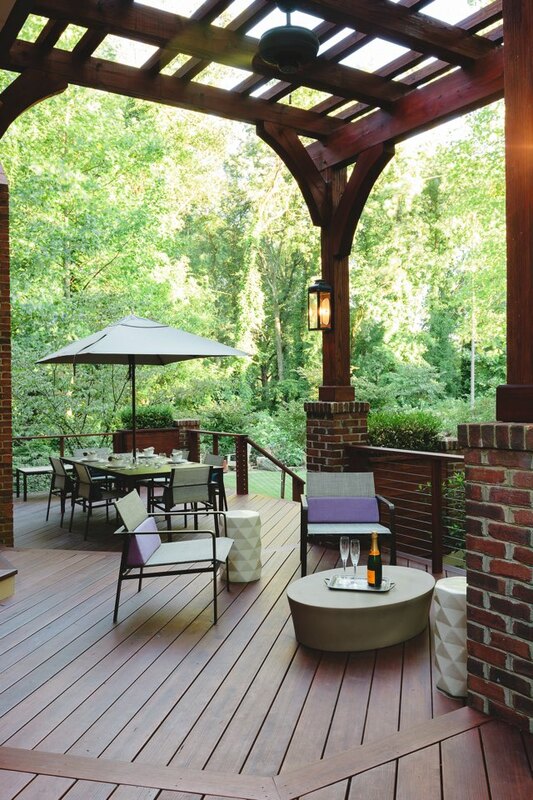 This is a classic case of replacing an aging standard-issue deck with a more inspired outdoor living setting. 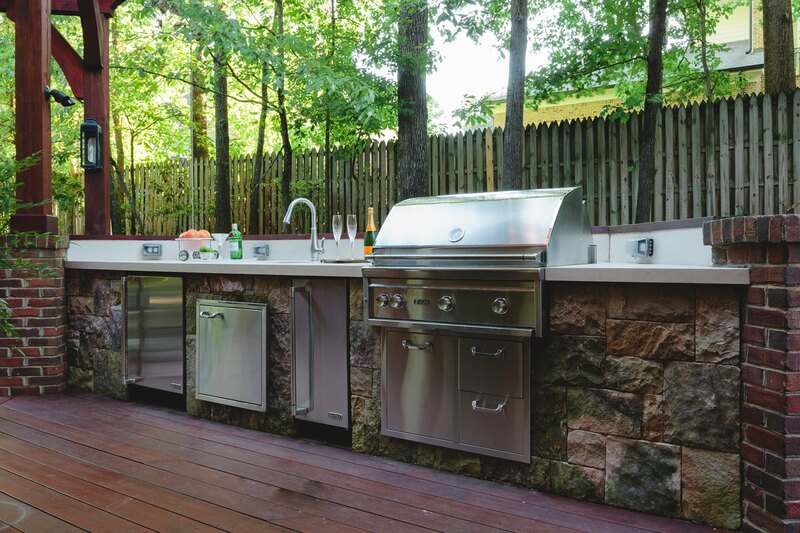 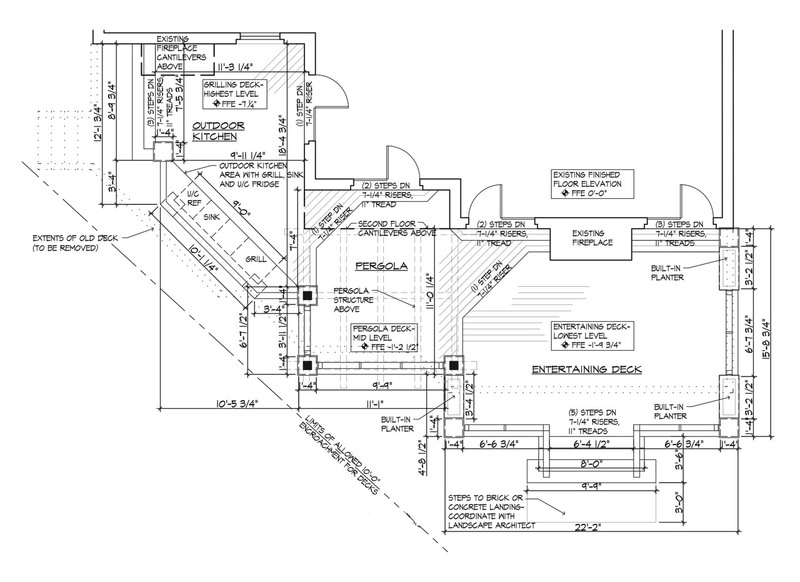 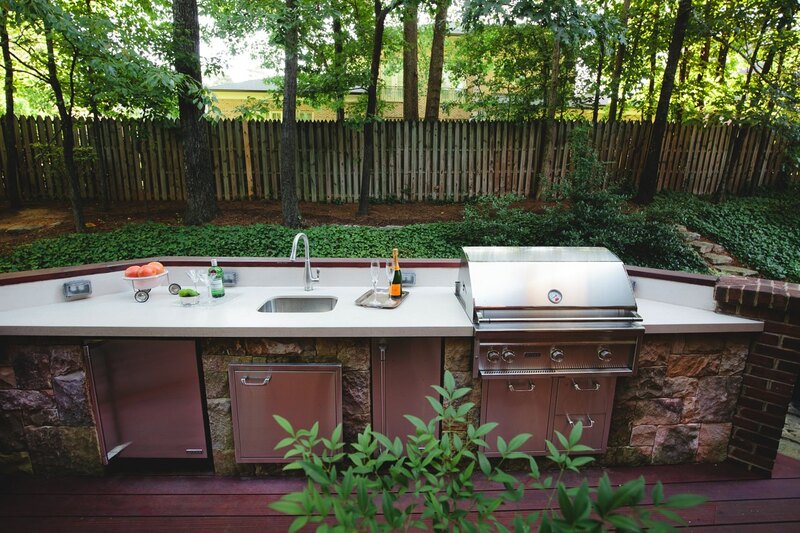 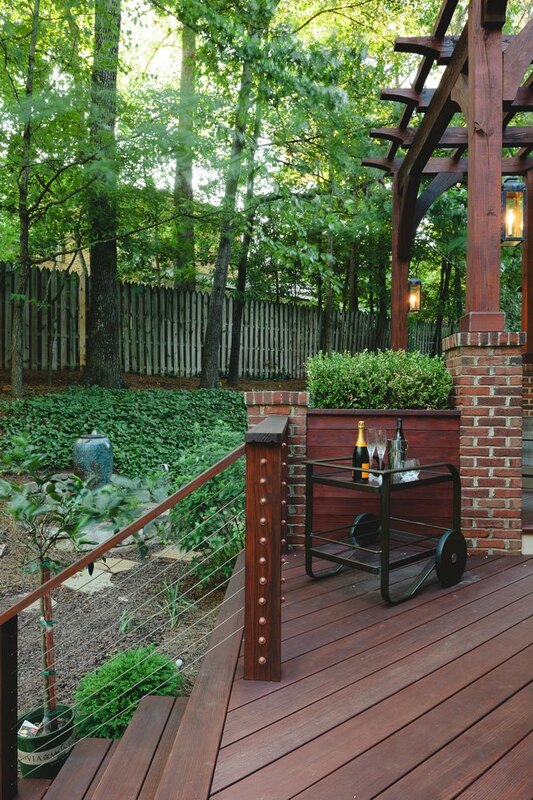 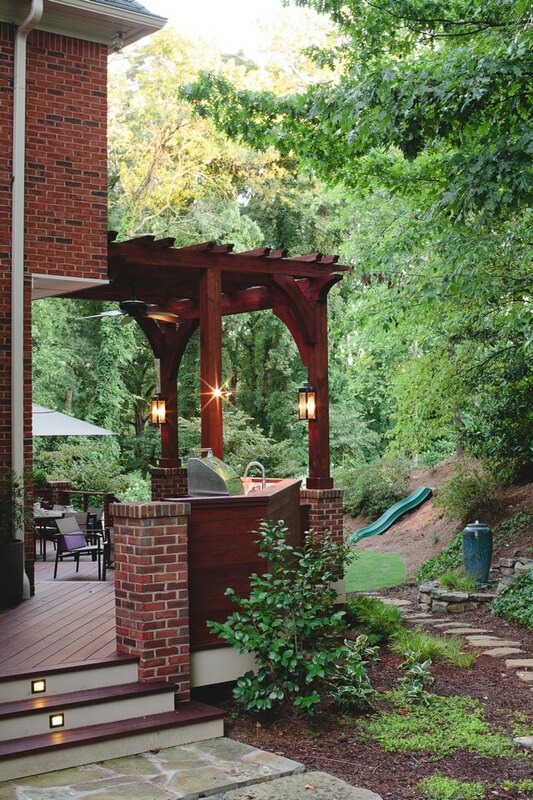 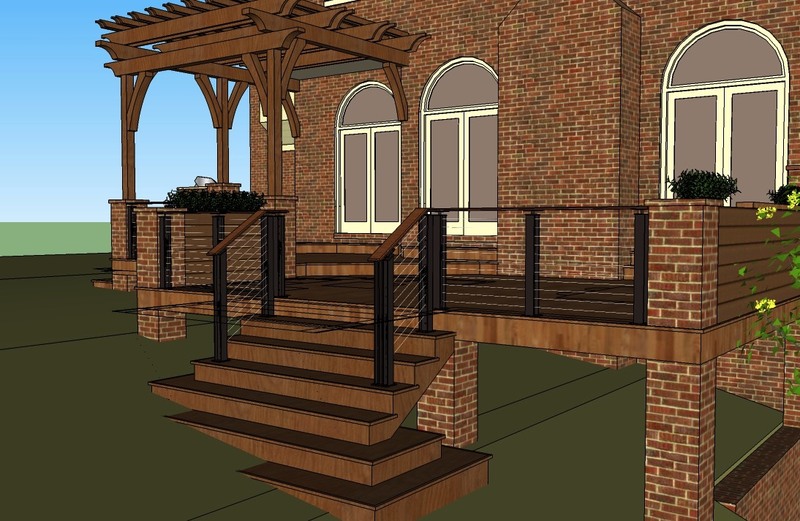 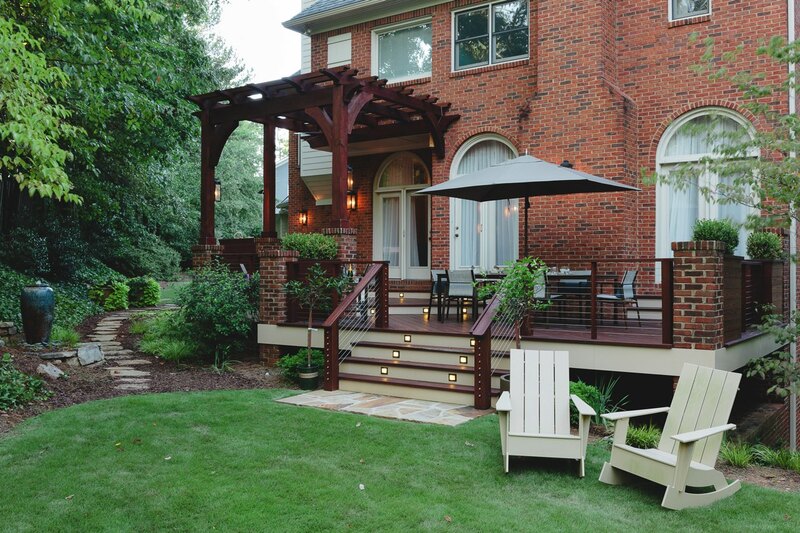 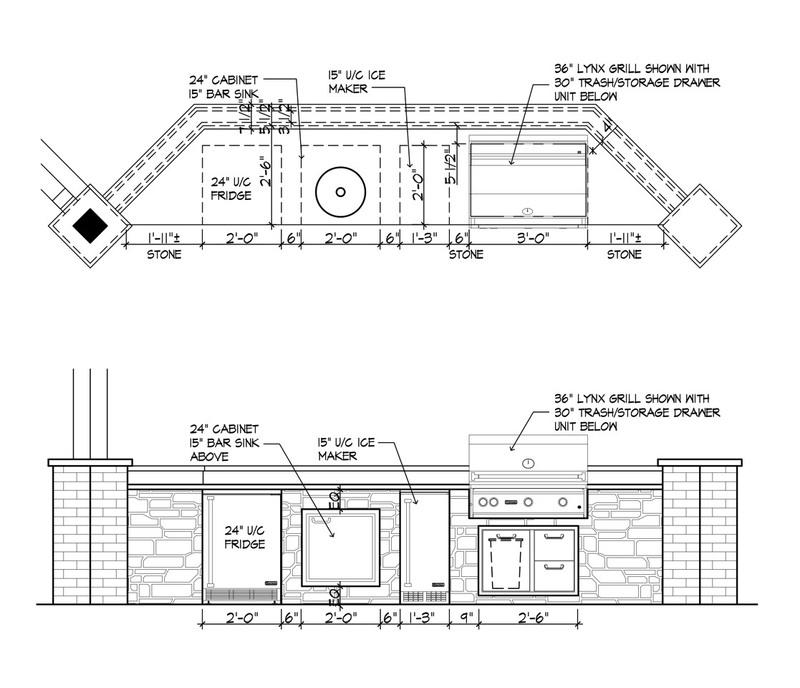 The existing deck was still serviceable but an unattractive platform on a beautiful Atlanta home for a family who enjoys the outdoors and entertains frequently. 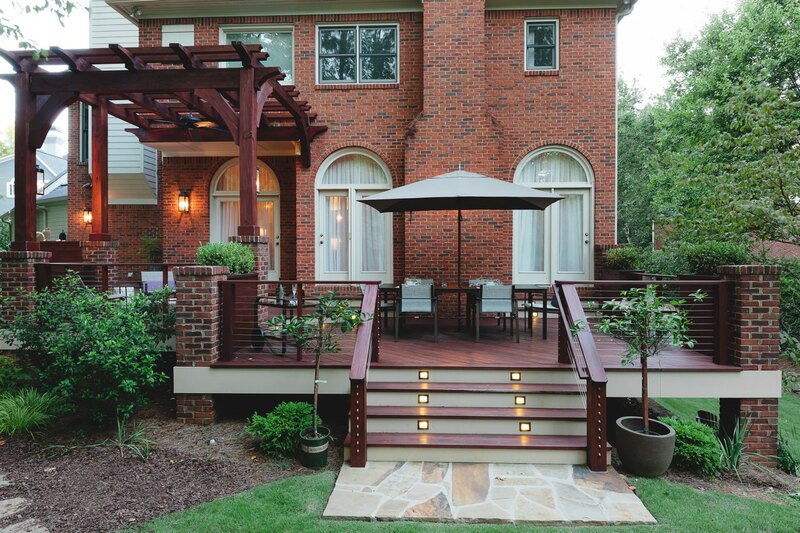 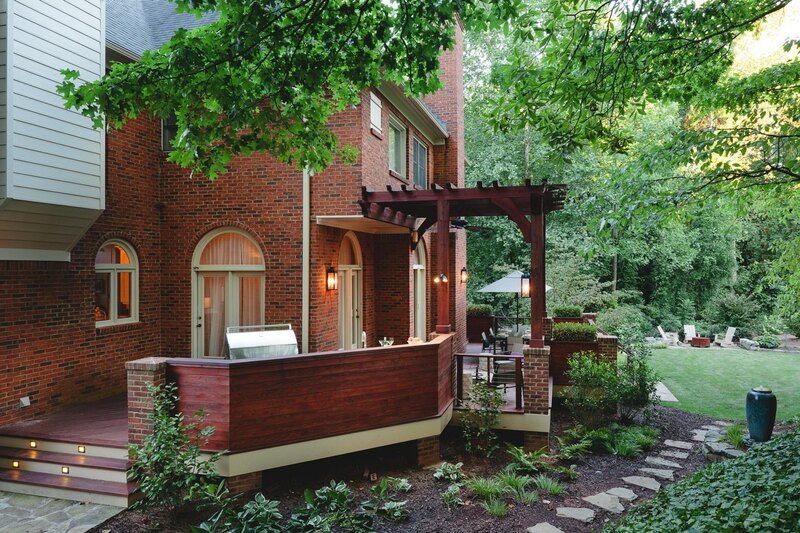 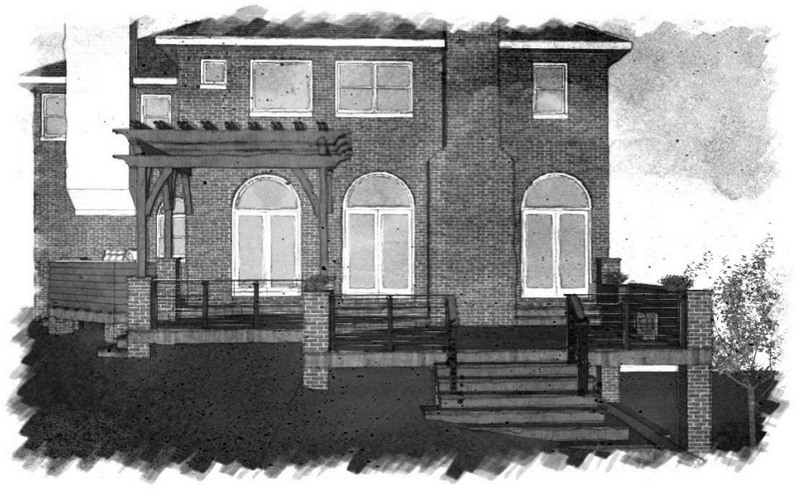 In a dramatic transformation, the one-level deck stretching across the back of the Atlanta house was replaced with a multi-level structure that creates a sense of a series of outdoor rooms: dining, sitting and outdoor kitchen, capped off with a beautiful arbor, cable rails, professional outdoor lighting and, as in many MOSAIC projects, complementary landscaping.